The price of oil is set to decline substantially this year, which will reduce the export turnover of mineral fuels with a certain delay, Swedbank said LETA/BNS. 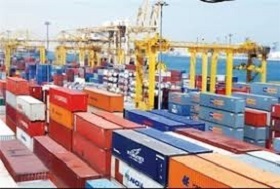 Both the exports and imports of goods increased significantly in 2018. Export grew by 12% and import by 10%. Foreign trade turnover was influenced the most by mineral fuels, the imports and exports of which both increased by approximately a billion euros year over year. The increase in turnover largely resulted from an increase in oil prices, Swedbank said. Global oil prices grew 31% last year measured in US dollars and 25% measured in euros. The increase in the price of energy facilitated the production and processing of various mineral fuels, but also the export of electricity. "Since Estonia is a net importer of energy products despite oil shale, the increase in the price of oil is negative for the Estonian economy as a whole: there are more of those who lose out than of those who gain from fuels becoming more expensive. Our main trade partners as well import energy products more than they export -- also they gain from a reduction in the price of energy. According to Swedbank's forecast the price of oil will decline significantly this year -- that will also reduce the export turnover of mineral fuels with a certain delay," Liis Elmik, senior economist at the bank, said. After mineral fuels, mobile communications equipment continues to be the second most important category of exports for Estonia. Even though the export of mobile communications equipment grew last year, it remained below the level seen a couple of years ago. "Development of the electronics industry apparently will get a new boost when new 5G networks start to be built at a more rapid pace. If Huawei's access to the market is restricted in Western countries for security reasons, the other major mobile network manufacturers Ericsson and Nokia will have one competitor less. As we know, Ericsson has a plant in Estonia, which accounts for a very big proportion of Estonia's exports," the economist said. The third major export article for Estonia is wood and wood products. Prefabricated wooden houses are the fourth biggest export article of Estonia. The export of wooden houses grew by a quarter last year. Also other wood products, including furniture, are important for Estonia. As a result of the cooling of economic activity and construction activity, Swedbank doesn't expect as fast an increase in the export of wood products to continue this year, Elmik said. The analyst said that export growth is likely to be slower this year than in 2018, as demand and prices apparently will be both growing slower. "Economies will be going at a lower gear in all the major areas: the USA, China and Europe. Also the expectations of Estonian industrial enterprises have become somewhat more pessimistic, especially when it comes to export," she added. In the context of Brexit, the analyst observed that the share of the UK in both the export and import of Estonian goods in 2018 was less than 3%, just like in previous years.